Recap: Analysts forecast that the video games industry will see double-digit growth in 2018. Red Dead Redemption 2 will move more units than any other game while the Switch will reach sales higher than both Xbox One and PlayStation 4. All the while Fortnite will be pushing hardware and accessory sales to decade highs. The analysts at NPD Group have released their video game industry predictions for the 2018 holiday season, and believe that Red Dead Redemption 2 will walk away with the best seller for both Q4 and 2018. Call of Duty: Black Ops 4, Battle Field V, NBA 2K19, and Far Cry 5 round out the top five sellers of the year. However, the chaotic nature of the industry does not stop analysts like Piscatella from forecasting the trends. 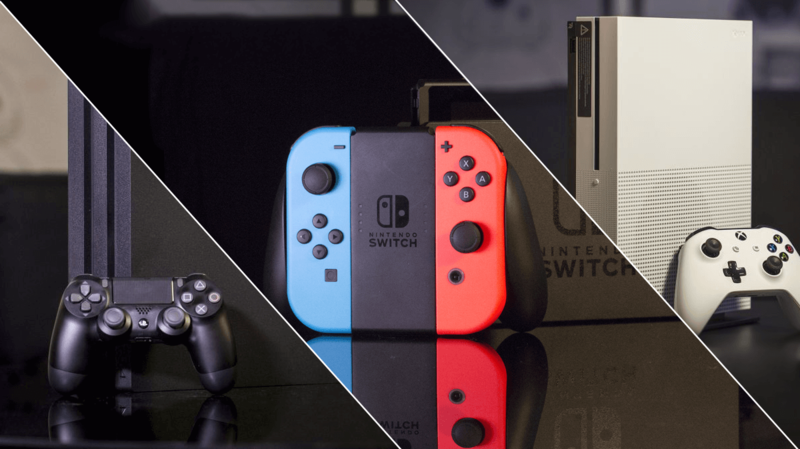 While the PlayStation 4 has been leading in 2018 so far in terms of units sold and revenue earned, the Nintendo Switch is on track to be the best selling console of Q4 and 2018. Part of this optimism is based on the hype generated by Pokémon: Let’s Go, Pikachu!, Pokémon: Let’s Go, Eevee, and Super Smash Bros. Ultimate. The Switch is also helped by its vast number of indie titles and AAA ports like Wolfenstein II: The New Colossus, and Doom. Plus The Legend of Zelda: Breath of the Wild is one of the best games I have ever played. NPD also sees PS4 and XB1 time-aligned sales to exceed PS2 and Xbox by six percent, and 30-percent growth over the PS3 and Xbox 360 respectively. Double-digit growth is being predicted for the market overall in 2018 thanks to a Q4 line up that is “arguably the best this decade,” strong hardware and accessories sales, and Fortnite. The battle-royale title has been driving spending on hardware, headsets, and game cards since its release last year. Despite the recent cross-play controversy surrounding the game, it has continued to bolster sales in those categories throughout 2018 so far. “2018 has proven that there’s never been a better time to be playing video games,” says Piscatella, and I agree.